Whats the Difference in a Herniated Disc or Bulging Disc? Home » Whats the Difference in a Herniated Disc or Bulging Disc? Herniated Disc or Bulging Disc? A back or neck injury is quite common when someone is hurt in a car wreck. Pain in the lower back tends to be the most common because the lower back bears most of the twisting and turning throughout the day. However, a person hurt in a car wreck can experience pain in the neck (cervical), upper back (thoracic), and lower back (lumber) areas. These are often called a Herniated Disc or Bulging Disc. Medical professionals don’t agree to the exact definition of a herniated or bulging disc (sometimes spelled disks), and the terms are often used interchangeably. Similarly, you may hear the terms slipped disc, ruptured disc, degenerative disc, and pinched nerve used to describe similar back problems. A medical doctor will use one or more methods of diagnosing the underlying cause of disc pain due to a Herniated Disc or Bulging Disc. A CT Scan is similar to an X-ray but uses a computer to compose the cross sections of the spine. A MRI is a type of magnetic scan that shows details of the patient’s disc. Doctors use these scans in combination with the patient’s medical history and a complete physical examination to effectively diagnose the cause of the back or neck pain. Non-surgical treatment is preferred. Doctors will often try to relieve the pain with non-surgical treatment such as physical therapy or chiropractic treatment. Results vary from patient to patient. It is generally preferred to exhaust more conservative types of treatment before recommending surgery. Some examples of non-surgical treatment include pain medication and injections. Microdiscectomy for a herniated disc where the herniated portion of the disc is removed. Spinal Fusion for degenerative disc disease where the disc space motion is reduced. How Does Auto Crash Cause a Herniated Disc? The stress put on the spine during an automobile accident can result in a Herniated Disc or Bulging Disc (also often called a slipped disc or ruptured disc). The trauma from the impact of the vehicles during a car wreck can cause the disc that separates your back bones to move out of place. The disc can press against the spinal nerves and cause mild to severe pain and suffering. The pain produced can radiate into the neck, back, legs, hands and feet. The insurance adjuster may try to tell you that a herniated disc and a bulging disc are two different things. However, the terms are often used interchangeably by the medical profession and a bulging disc to a radiologist may be called a protruding disc to a physician. 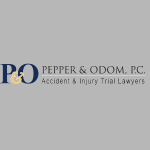 You should always hire an experienced Personal Injury Attorney. Injuries to the spine can cause lifelong problems, and it is important that you hire an Attorney that understand how to get you ALL the compensation you are entitled to. If you have a personal injury claim and you would like to discuss it with one of our Injury Attorneys, call 601-202-1111 for a free and confidential initial consultation.